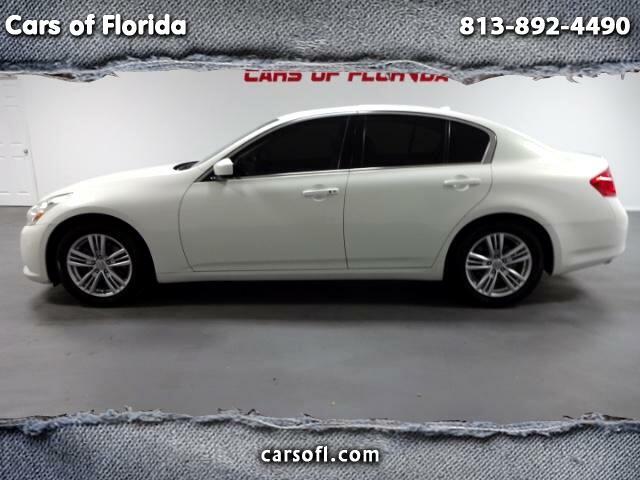 Cars of Florida is proud to announce this impeccable 2 owner 2012 Infiniti G37 Journey with 137k miles! This vehicle features a Premium Bose surround sound. Exterior and interior are in top notch condition. You will not find interior or exterior blemishes on this sedan. This vehicle is opted with Back-Up Camera, Rear Parking Aid, Bluetooth connectivity, Hands Free Calling and steering wheel control modules. This G37 has it all! Some other options include heated and cooled seat controls, Satellite radio and stability assist. Performance features are a smooth real wheel drive suspension and chassis boosting 328 HP equipped with a sweet 7 speed automatic transmission. Acceleration and precision handling come guaranteed with the G37 models! Contact us today to make this lovely gem your new toy! WE FINANCE EVERYONE!